A marine salvage legend well known for his role in raising the Costa Concordia has past away following a freak snowboarding accident in Utah. gCaptain has learned that former Salvage Master and managing director of TITAN Salvage, Captain Richard Habib, was killed January 10th on an inbounds ski slope at Park City Mountain Resort in Park City, Utah. According to Summit County Sherriff’s Office, Rich, 60, had been snowboarding and was found unconscious by ski patrol at about 3:45 p.m. Habib was taken down the mountain for a helicopter medevac to a Salt Lake City hospital, but he was pronounced dead a short time later. Rich rejoined the TITAN Salvage, part of Crowley Maritime Corporation, as managing director in 2011 and served in that capacity until 2014 when the decision was made to merge TITAN and Svitzer Salvage into a new company called Ardent. During his tenure, he was an integral leader in many marine salvage and wreck removal efforts, Crowley tells gCaptain. 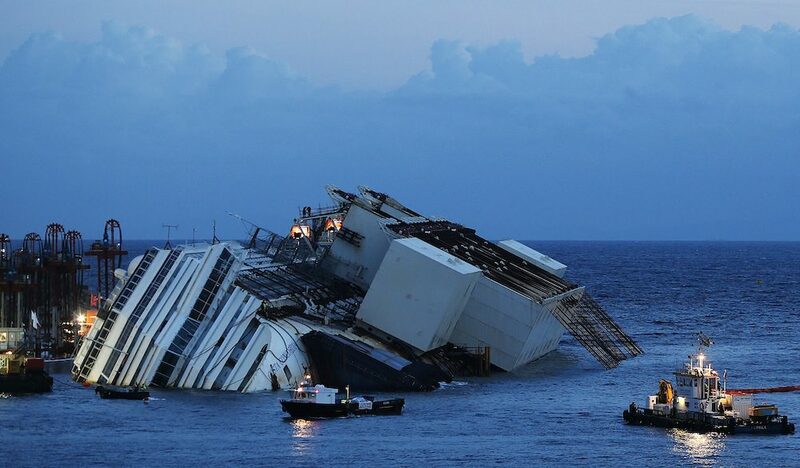 He was perhaps best known for his role in the effort to raise and refloat the Costa Concordia in Italy, the largest marine salvage job in history, where Habib worked alongside Senior Salvage Master Nick Sloane. In 2006, Rich was credited with saving the Cougar Ace, a car carrier that lost stability and was in danger of running aground in the Aleutian Islands. Rich and his effort to save the ship were later chronicled by Wired Magazine in the feature story High Tech Cowboys of the Deep Seas: The Race to Save the Cougar Ace. Rich began his career in the U.S. Coast Guard after graduating from the Coast Guard Academy in 1977. 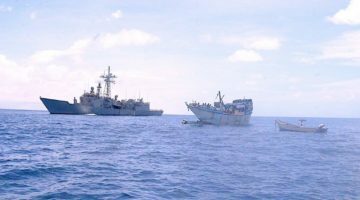 He went on to serve in various posts including commanding officer of a patrol boat and rescue station. At one point he was exchanged to the U.S. Navy, where he served a tour aboard a frigate. After leaving the Coast Guard in 1984, he worked in the oil field aboard supply boats and later specialized in the international tramp heavy lift trade aboard Dock Express and Van Ommeren vessels where he sailed as master and was a project manager. Rich first joined TITAN Salvage in 2001, beginning as a jack-up barge superintendent and becoming a salvage master and director of salvage. He left TITAN in 2008 to join another salvage company before returning to TITAN in 2011. Among Rich’s survivors are his wife Lindsay Malen, former director of business development for TITAN and the Marine Response Alliance, and their newborn baby girl Isabella.